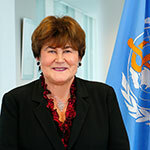 WHO is the authority responsible for public health within the United Nations system. The WHO Regional Office for Europe (WHO/Europe) is one of WHO’s six regional offices around the world. It serves the WHO European Region, which comprises 53 countries, covering a vast geographical region from the Atlantic to the Pacific oceans. WHO/Europe staff are public health, scientific and technical experts, based in the main office in Copenhagen, Denmark, in 3 technical centres and in country offices in 29 Member States. In pursuing its primary goal of improving the health and well-being of nearly 900 million people in a socially and economically diverse region, WHO/Europe, under the leadership of the Regional Director, has developed strategic directions for partnerships in health. WHO/Europe has helped to establish and works through many regional and global health networks. They play an important role in coordinating various actors and building expert knowledge on certain health issues. In line with its mission to provide global leadership in public health, WHO employs health specialists, medical doctors, scientists, epidemiologists and people with expertise in administration and finance, information systems, economics, health statistics as well as emergency preparedness and response.